WELCOME TO WAPPING WHARF ONLINE - FINALLY AVAILABLE TO BUY NOW USING A CREDIT CARD, ALL ISSUES OF THE UK'S HOTTEST SELF PUBLISHED FANZINE DEDICATED TO THE SMALL FACES - THE DARLINGS OF WAPPING WHARF LAUNDERETTE - EXCLUSIVELY PUBLISHED BY JOHN HELLIER AND STEVE MARRIOTT LICENSING, WAPPING WHARF IS THE ESSENTIAL STEVE MARRIOTT, HUMBLE PIE AND SMALL FACES FANZINE FEATURING AMAZING FEATURES AND INTERVIEWS COVERING ALL ASPECTS OF THE SMALL FACES AND MORE!! BUY NOW IN UK POUNDS, EUROS OR US DOLLARS - ALL ISSUES ARE IN STOCK AND READY TO BE SHIPPED TO YOU DIRECT FROM THE PUBLISHER IN THE UK TODAY - THE DARLINGS OF WAPPING WHARF LAUNDERETTE CAN BE YOURS TO OWN NOW, SINGLE ISSUES OR THE WHOLE EXCLUSIVE SET - THE ULTIMATE PUBLICATION FOR FANS OF THE SMALL FACES . . . . . . . . . . . . . . . .
From the very humble beginnings "Darlings of Wapping Wharf Launderette" has grown in stature to be just about the most respected and best selling self published fanzine in the UK. It's the only publication on the market dedicated to the memory of the coolest, sharpest band of them all, the East End of London's own fab four - The SMALL FACES! message on the shopping basket. 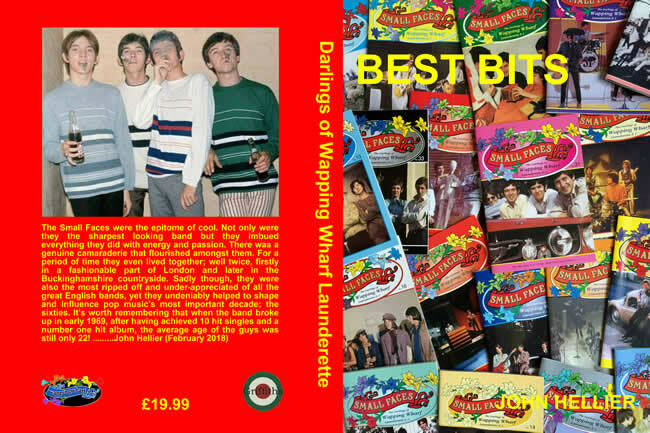 AT LAST: A Darlings of Wapping Wharf Launderette book......BEST BITS. A massive 400 page compilation from 40 issues of the best selling fanzine in the country. 100s of great articles and 100s of great photos. 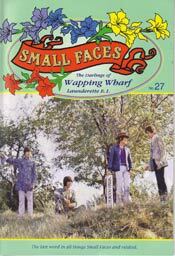 Definitely the BEST Small Faces publication ever! Available NOW! 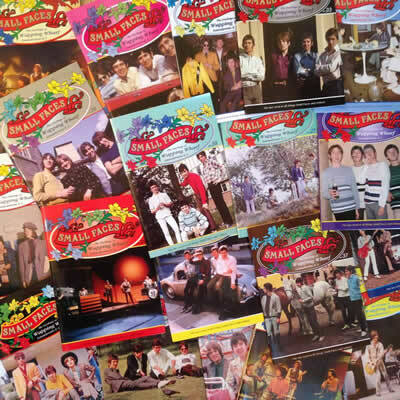 Small Faces / Steve Marriott back-issue calendars. 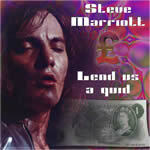 Steve Marriott Memorial Concert DVD from 2001. Comes with a free 1 hour plus bonus DVD feat. behind the scenes/sound checks etc. Also comes with a free concert programme from the night. 12 inch vinyl picture disc. 5 Small Faces picture sleeve 7 inch vinyl singles. Small Faces Tour Programme £15 - Last One! A cradle to the grave account of the life and times of the Who's original manager. 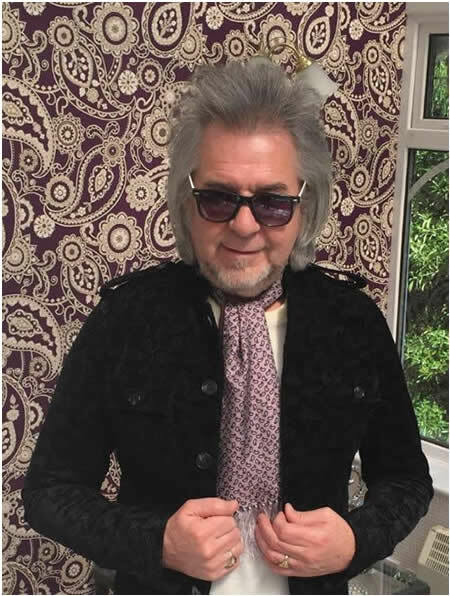 The man that moulded them into Mod Gods and then sold their contract for a few hundred pounds. Riveting stuff! Brand new revised edition of I'm The Face, the official Peter Meaden Story available with an additional 100 pages. Endorsed by the likes of Bill Curbishley, Pete Townshend, Andrew Loog Oldham with contributions from these guys and many more from within The Who ranks. The complete sessions with previously unreleased material, 10 page colour booklet. The complete three hours plus show featuring PAUL WELLER, PETE TOWNSHEND, RONNIE WOOD, SLIM CHANCE, OCEAN COLOUR SCENE and an all star cast. Each purchase comes with a FREE CONCERT PROGRAMME from the night worth £10. I NEED YOUR LOVE (LIKE A FISH NEEDS A RAINCOAT). This one is a bit special as it contains quite a few previously unreleased studio tracks and covers the period from Steve Marriotts Moonlights in 1962 right up to the LA sessions with Peter Frampton just before his tragic demise. Steve's very first and very last recordings together in the same package.